Premium keys for the three practice tests included in the The Official ACT Prep Guide 2016-2017 are now available through our online store. We mapped all questions to the New Reporting Categories and also to our list of categories. Tests graded using the premium keys will print a detailed question analysis on pages 2 and 3 of the student report. Each premium answer key is available for a one time fee of $35 and can be purchased online. The answer key for ACT 74H from December 2016 is now available in our database. 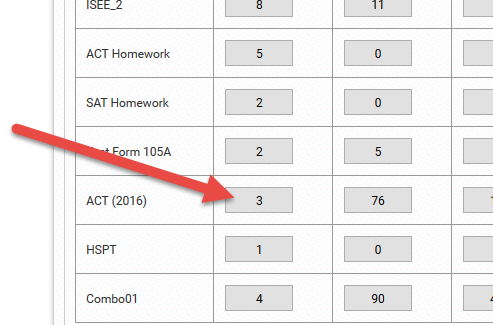 Make sure to add it under ACT (2016) as this test uses the new ACT reporting categories which are supported through ACT (2016) in your account. 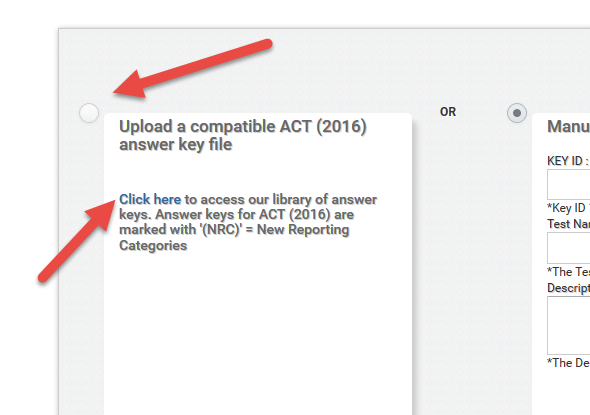 Then first click on the link to the library and download the 74H answer key (by clicking on the test name “74H” in the first column) and then select to “Upload a compatible ACT (2016) answer key file”, specify the downloaded file and upload it. 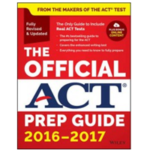 Note, ACT (2016) answer keys for tests 0964E and 1267C are also available ($15 each).